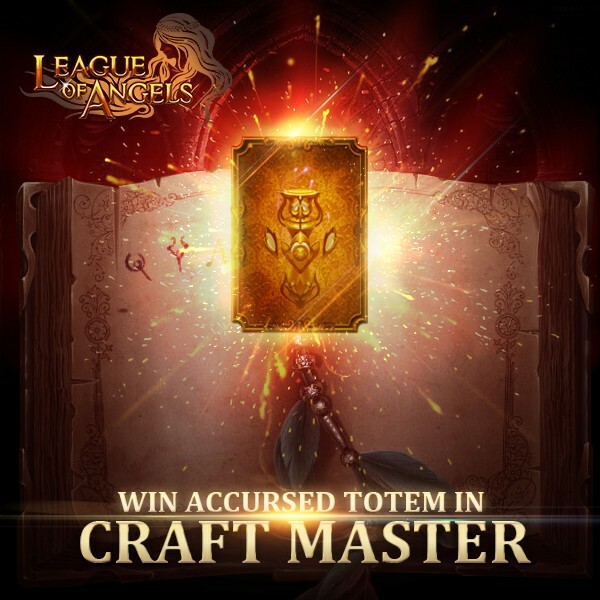 LoA_Win Accursed Totem in Craft Master! 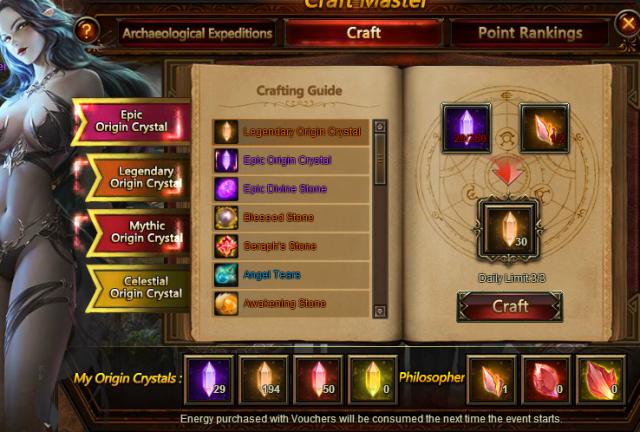 After collecting specified materials, you can craft certain items, including Cupid Shard, Iron Wings Shard, Legendary Exp Totem Chest, Pocket Watch, Vitamin, Magic Socketing Rod, Awakening Stone, lvl. 10 Common Gem Chest, Lvl.9 Fusion Gem Chest, Lvl. 10 Cherubstone, Lvl. 11 PATK+Hit Gem, Lvl. 11 MATK+Crit Gem, Lvl. 12 HP+PATK Gem, Lvl. 12 Agility+Hit Gem, Skill Book-Swift Blade, Skill Book-Thunder Strike, Ungodly Soul and many more. Description: Log in everyday to collect Bronze Pocket Watch and Rose! More exciting events are coming up through Sep 11 to Sep 14 (Server Time), check them out in the in-game Hot Events menu now!